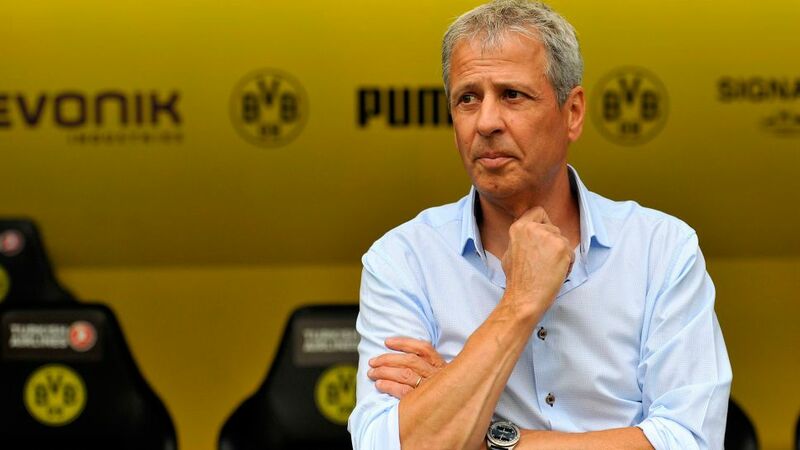 Borussia Dortmund have confirmed the appointment of Lucien Favre as head coach for the 2018/19 season, replacing Peter Stöger, who had been in charge in a caretaker capacity since December 2017. The 60-year-old, who arrives at BVB on a two-year deal following a two-year spell in charge at Ligue 1 side Nice, is a familiar face in the Bundesliga, having previously held the reins at Borussia Mönchengladbach between 2011 and 2015, and Hertha Berlin between 2007 and 2009. "Coaching Borussia Dortmund is a delightful task," Favre told Dortmund's club wesbite. "I'd like to thank the people responsible for the trust they have placed in me. Now we'll work together on the new team. BVB is one of the most interesting clubs in Europe, and I'm looking forward to returning to the Bundesliga, which I know very well and have always kept in mind during my two years in Nice." Dortmund fans will be excited by the prospect of Favre reuniting with Dortmund talisman Marco Reus. The duo worked together for 18 months at Gladbach, where the Swiss tactician helped the attacker progress from gifted youngster into one of the most feared forwards in the Bundesliga. "The appointment of Lucien Favre as coach is an important part of our sporting restart this summer," Dortmund sporting director Michael Zorc said. "He is highly valued by us for his professional qualities, which he has impressively demonstrated several times in the Bundesliga with Hertha Berlin and with Borussia Mönchengladbach - just like in Nice." Favre will begin work with Dortmund from July 1. I am surprised he hasn't been linked with more clubs. He stayed at Nice a season too long but a move like this seems like natural progression given his CV.